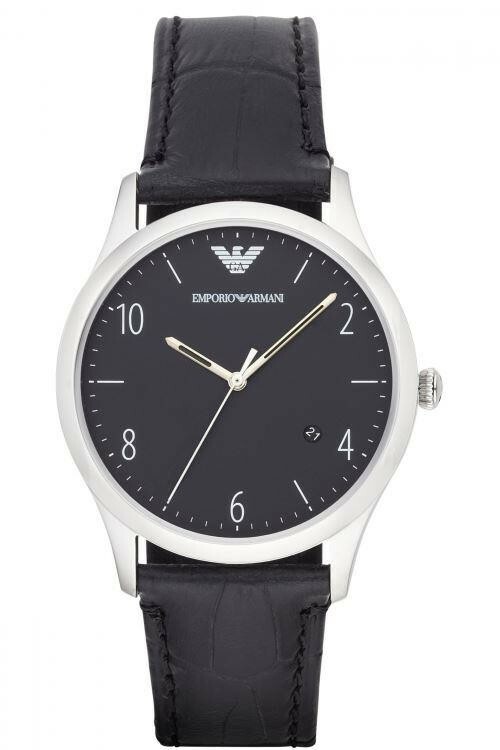 This attractive mens Emporio Armani watch has a stainless steel case and is powered by a quartz movement. 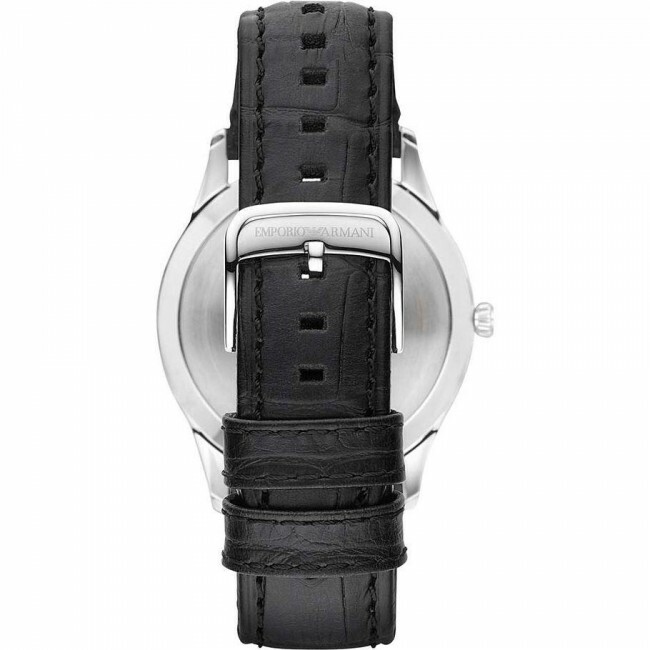 It is fastened with a black leather strap and has a black dial with silver hands and numbers. 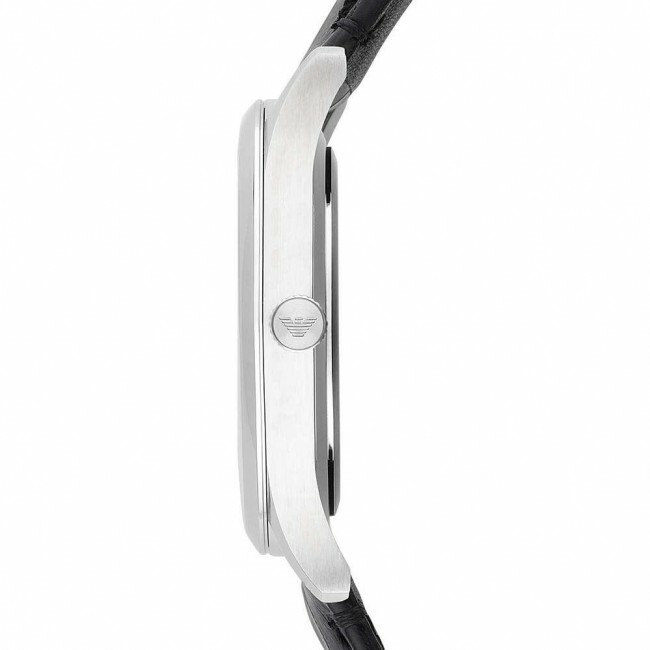 The watch has a date function. 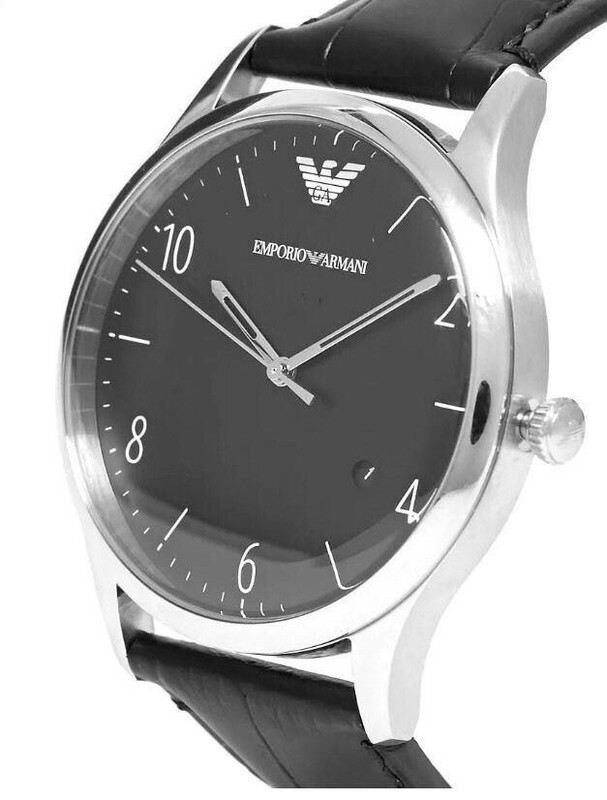 This attractive mens Emporio Armani watch has a stainless steel case and is powered by a quartz movement. 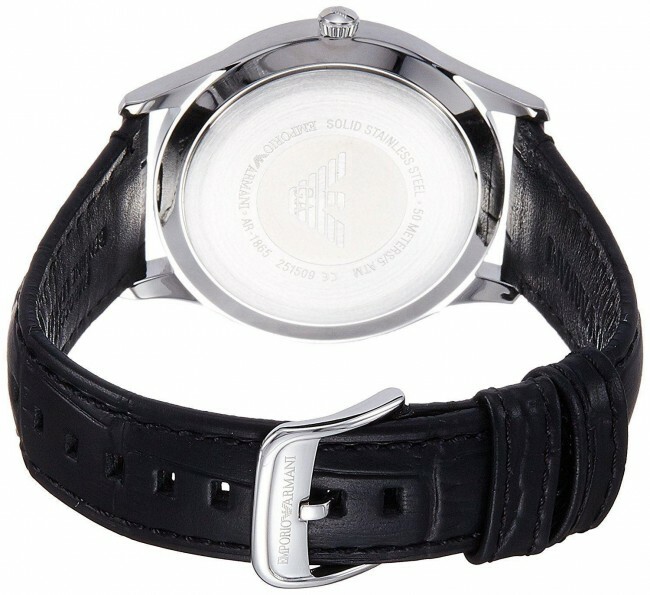 It is fastened with a black leather strap and has a black dial with silver hands and numbers. The watch has a date function.